I'm sure I'll cop some flack from this one. The art you see here is currently up for auction over at the Heritage web-site. 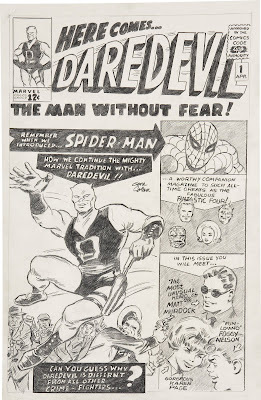 The official description states, Gene Colan Daredevil #1 Penciled Cover Re-Creation Original Art (undated). Celebrated as one of the Man Without Fear's best artists, Colan has re-created the landmark, first cover appearance of Marvel's Daredevil, and he has captured all the vitality and charm of the Jack Kirby and Bill Everett cover in his homage. Drawn in pencil, this piece has an image area of 10" x 16.25", and the art is in Excellent condition. 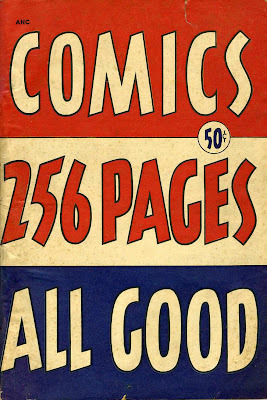 All Good #1During a routine scroll through emails and on-line stuff I've come across this gem, published by St John in 1949. Nothing flashy about that cover - perhaps a fre of today's publishers could learn a lesson or three from it. I have no idea what the contents are, nor do I care to know, I have been told it contains comedy material - I just love the cover. I'd buy it for that alone. It did remind me of two of my favourite Australian horror reprint covers though.